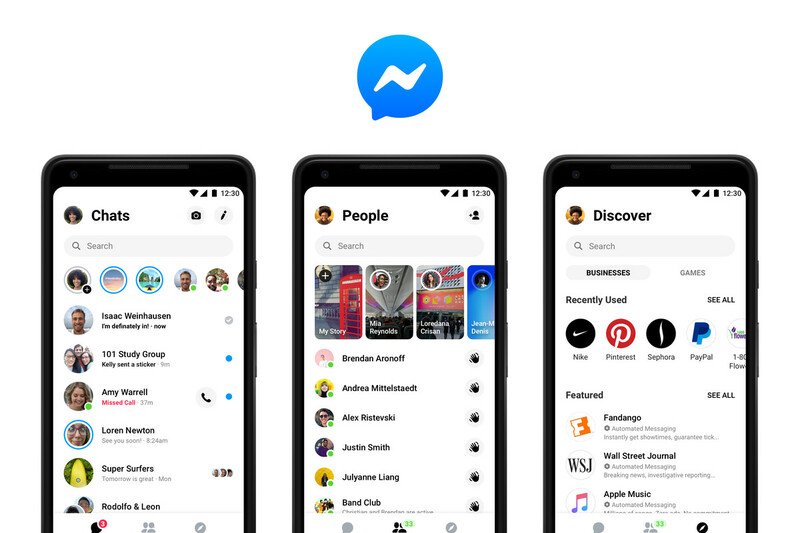 The Facebook Messenger redesign which was first announced at Facebook F8 developer conference last May is finally here. It’s listing on both the App Store and Google Play Store has been updated to show the new interface, and we’ve verified that it’s available across both operating systems, but the Messenger team has said that it might take a little time for the update to be available for everyone. The aim of Facebook Messenger redesign is to make the chat client simpler and to put your messages front and center once again. But despite this, it’s taken a surprising amount of time to actually see a widespread release. Following its announcement in May, Facebook Messenger redesign entered a prolonged rollout period in October, but since then, the only way to guarantee that you get the new update has been to buy one of Facebook’s much-maligned Portal video chat devices, which forces the update. Notable features of Facebook Messenger redesign include consolidating its nine tabs into just three and introducing a lot of clean-looking whitespace to the interface. Chats are still filled with all of the functionality that’s come to Messenger over the years (such as games, bots, and reminders), but much of this is now hidden behind a new four-dot icon. So while there’s little in the way of new features, the experience is far better oriented toward what you actually want to do when you open Messenger.